Quench is a Social Enterprise based in Salisbury helping to encourage and train others who are interested in this kind of initiative. Whilst running a successful cafe serving delicious food. Plus rooms and training space for hire. Co-cars Limited is a Multi-stakeholder Co-operative registered as a Community Benefit Society under the Co-operatives and Community Benefit Societies Act 2014. Salisbury Community Energy Limited (SCE) was registered as a Community Benefit Society in March 2017. There is an increasingly urgent need to accelerate the transition to a renewable energy economy, and to challenge resistance to change. Salisbury is a key location for climate change impacts, coming within a few millimetres of a disastrous city centre flood in February 2015. The aim of SCE is to drive the uptake of renewable energy in the Salisbury area and to provide an opportunity to invest in profitable green energy generation schemes locally. Alabare is a charity, founded in 1991, that supports homeless, vulnerable and marginalised people. They help them transform their lives, providing accommodation and helping them gain the skills, confidence and opportunities to live a fulfilled life. Our Wilton is creating a vibrant new community of homes for veterans, retirement living, an enterprise hub, community café, nursery and kitchen garden through continued engagement with the residents of Wilton Hill, Erskine Park and the wider Wilton, Quidhampton and Burcombe community. The Pantry Partnership is a social enterprise working in and around Salisbury. We use food to transform lives by creating delicious and nutritious meals from next to nothing – mainly using surplus fresh food. We have volunteers who help us grow and prepare food; we collect surplus from local shops and farmers; and we serve great quality, great value meals across our community. Last but not least, we share our cooking skills through workshops and courses. Multitude of Voyces combines the skills and expertise of several local professional musicians, teachers, priests, music therapists, writers and performers to draw together groups of the community who may not usually work together. @home is a fresh new space, immersive and buzzing for Salisbury. Open 10am-10pm serving food, coffee and alcohol. We host entertainment everyday! 3pm-6pm for children & 8pm-10pm for adults. Kelly Wilson Interiors is an award winning design company who provide an innovative, creative service for care homes, producing interiors that exceed client aspirations. We offer a comprehensive design service from plan stage through to installation, working closely with architects, construction companies, project managers and our clients. Founded on 22 years combined healthcare design experience we provide creative solutions on design projects of varying scopes and budgets. 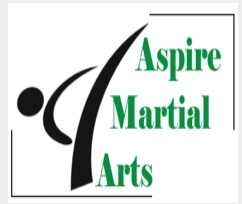 We are Aspire Martial Arts, well established since 1999, teaching ITF TaeKwon-Do, Modern day Kickboxing, Little Dragons for 4 – 6 year olds and Dragon Hatchlings 2 1/2 to 4 year olds. We are based in Salisbury, Wiltshire and have schools throughout the area. Collingwood Services was set up by a hard-working team to operate a multi-purpose service group to offer other businesses a specialist outlet to run their Medical provision, Security, Hospitality and Training. Allowing them to continue with the day to day running of business matters knowing we are taking care of the smaller more time-consuming matters. The main focus of Music For Wellbeing is on older people living with dementia and adults with learning difficulties. The service will deliver music services to care homes and communities. There is scope for the service to bring music to a wider range of people and settings, including people on the mental health register, NEET settings and Interfaith community building work..